WASHINGTON — FBI Agent James W. McJunkin is taking over the ever important spot at headquarters as assistant director of the Counterterrorism Division at headquarters. He moves up from his post as one of the division’s deputy assistant directors. “Jim has extensive experience and a record of success in managing counterterrorism investigations and creating successful partnerships, tools that will help the FBI, along with our partners, defeat the groups and individuals who wish to harm us,” FBI Director Robert S. Mueller III said in a statement. McJunkin started out with the FBI in 1987 and worked in the San Antonio, Atlanta, and Washington D.C. field offices, the FBI said. In 2005, he became an assistant special agent in charge of the Washington Field Office and led the Joint Terrorism Task Force (JTTF). 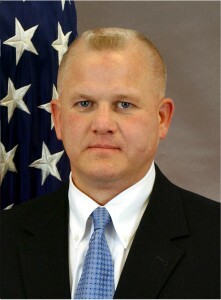 In August 2006, Mr. McJunkin became the acting special agent in charge of the Washington Field Office Counterterrorism Division and after a couple more moves, he was named deputy assistant director for Counterterrorism Operations — Branch I in January 2008. Posted: 2/4/10 at 1:09 AM under FBI, Milestone, News Story.